Visit us today for state-of-the-art technology, genuine hospitality, and rapid results. Smile brighter with cutting-edge diagnostics. Enjoy convenient appointment times—early and late! See quick, lasting results with same-day crowns. No dental insurance? Learn about our in-office savings plan. 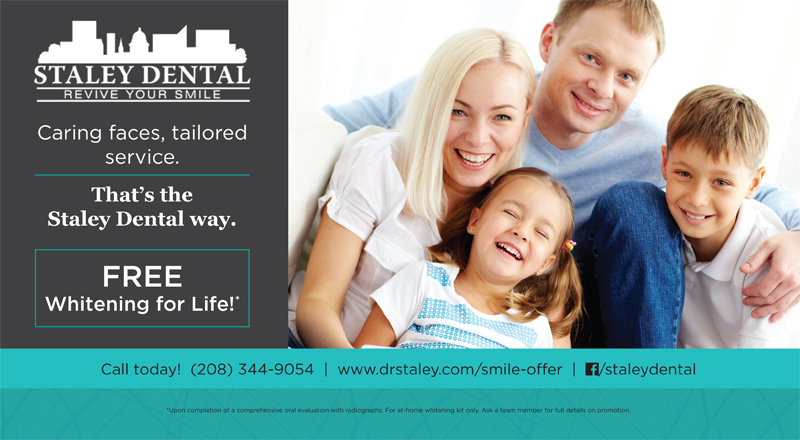 Staley Dental: Where your wellness plan caters to your way of life. *Upon completion of a comprehensive oral evaluation with radiographs. For at-home whitening kit only. Ask a team member for full details on promotion.